Your support makes a difference as we Witness the Living Word! From the beginning, TV-44 support has came from individuals in our community who have a passion for what we do. From our annual TV-44 Auction to our seasonal campaigns, we partner with people just like you who give us regular donations throughout the year. Like any ministry we are supported by contributions from both our broadcast viewers and our digital audience. What is the impact of contributing to TV 44? 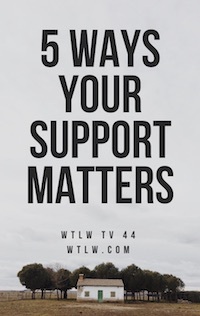 Check out our guide that shows how your partnership affects an untold number of lives. Fill out our short form and find out the difference you can make in the lives of others by becoming one of our valued donors.